For a Lifetime Experience, Choose the Best and Leave the Rest! mxDubai started with the goal of providing our customers with exceptional desert safari services that would provide lifelong memories. We tailor our services to meet the needs of all our customers. 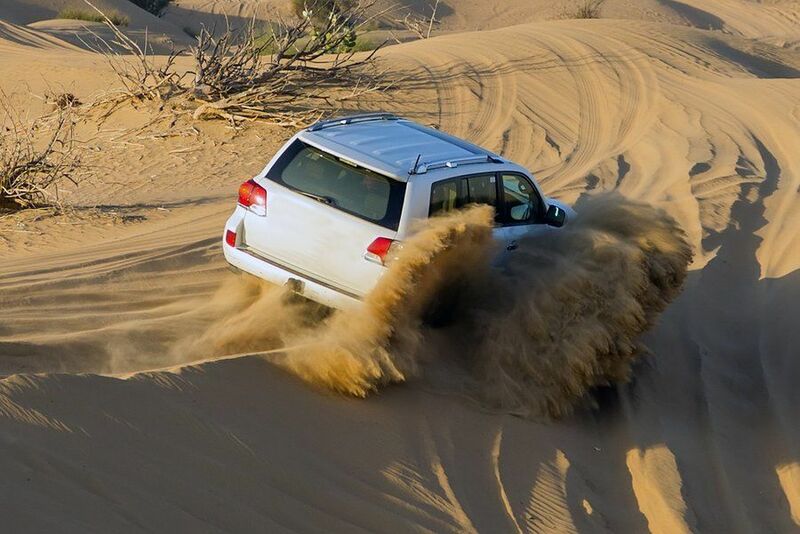 With our Desert Safari Adventure tour in Dubai , you can explore the Arabian Desert with our exciting range offers including off-road vehicles, Safari Falcon, 4×4 Desert Adventure with dune bashing while pick and drops, Camel Rides, Overnight Desert Camping in Dubai, Lavish Buffet Dinner and much more. We make such desert adventures safe, convenient and cost-effective for the entire family. All the activities have their own fun and excitement in the morning or/and evening. Customers can choose between day or night timings as per their preference as we offer a variety of tour packages for desert safari adventure in Dubai. Contact us to select the tour package that suits your needs: the number of people, time of the day, number of hours, type of facilities and variety of add on, etc. We offer something for everyone. With our customers’ satisfaction and their love for our services, we pride ourselves in offering all customers with unique and exceptional experiences. Desert Safari Dubai gives you the pleasure of enjoying BBQ in the desert. Customers can enjoy a specially organized delicious BBQ buffet dinner. The dinner is held in a VIP Desert Safari camp and offers the Arabian Desert dinner experience with special offerings; welcome dates and Arabic coffee, belly dance, fireshow, tanura show, local arabic dress, henna, camel ride, sheesha and souvenirs shops. MX Dubai is widely known for its amazing services and a range of adventures. With warm hospitality, we welcome you to Dubai to enjoy a true Arabian Desert experience with MX Dubai. This was one of the best experiences I’ve ever had. It was also one of the hardest things I’ve ever done. Even doing the beginners course was quite physical and mentally hard but one of the biggest Adrenalin rushes I’ve had. If you haven’t done this before be prepared to fall off but really it doesn’t hurt that much landing in the sand. The bikes themselves are very well kept and seriously powerful. They also let us into the desert camp. cannot wait to book our next Tour. This was awesome – about a 40 minute drive out of Dubai desert. You meet basically on the side of the road in the desert, so you’ll need a GPS so you can find the place, via coordinates. A 4WD picks you up on the roadside and takes you to the camp. I have quite a bit of trail riding experience but not much sand work, but I picked it up after some good advice from our guide and about 15 minutes of riding. We did the 4 hour trip – it was unreal!! I would do a layover in Dubai just to do this again! Extend your heritage experience in Dubai with an overnight stay at a unique desert camp. Take a step back in time and experience Dubai as it was 50 years ago. Watch the sun drop under the horizon as a falcon soars above you. Your Bedouin camp, lit with the gentle flames of traditional lamps, is nestled inside a private royal desert retreat. You’ll see demonstrations of cultural activities such as henna painting, music, dance, making bread, and making Arabic coffee. Enjoy a sumptuous dinner under the stars. Discover the beautiful red desert landscape on the outskirts of Dubai on a 3 to 6-hour evening tour to a Bedouin camp. Enjoy breathtaking views of the desert dunes, and entertaining activities upon arrival at the camp. Upon arrival, stop for about 15 minutes for some warm-up-for safari things such as deflating your 4×4’s tires to suit the desert ride. Take a restroom break before going into the desert while our team are waiting to catch up the convoy, or spend that time enjoying optional Quad bike ride. Then, drive across the desert red dunes on a thrilling 4WD dune bashing activity. If you are feeling truly adventurous, opt for the high dunes option where the level of the dunes is increased. Once you are done with dune bashing, stop in the heart of Dubai desert to try a hand at desert sandboarding. If you already know skating or snow-boarding, it will come easily to you – just stand on the board provided and glide over the soft & smooth sand dunes. You’ll find this even more effortless than snowboarding! Conquer more dunes with your board and experience the thrills. Enjoy a panoramic view of the sunset (Not Guaranteed-Chance 50% to catch it in desert before the camp), before going to an authentic Arabic camp. Experience a traditional Arabic welcome of coffee and dates, and learn more about the culture through multiple activities and entertainments. Relax in the beautiful Bedouin encampment, and watch traditional tanura dance shows, belly dancing, and more. Take a ride around the desert sands on the back of a camel (a short ride which can be repeated). Get a traditional henna painting on your hands, or smoke a shisha pipe to get into the spirit of the Arabians. You are invited to put on traditional costumes for a souvenir photo. You can even get a photo taken with a falcon on your shoulder! Then, enjoy a gourmet barbecue of Arabian treats. There will be a variety of BBQ cuisines to select like the Shawarma, Kebabs, Salads and all. Feast yourself under a canopy of stars. Private 4×4 pick up and drop off with 30mins dune bashingPrivate 4×4 pick up and drop off with 30mins dune bashingPrivate 4×4 pick up and drop off with 30mins dune bashing. VIP Camp RV with dinner, etc. Arriving at our luxury style camp. Arabic Welcome: Arabic Coffee & Dates.